Candidates may often wonder if there is any need to go through a recruiter when job hunting when they can directly respond to various vacancy positions on ads, the internet, magazines and the likes. 1. The recruiter does not directly charge the job seeker. Usually, the employer is saddled with the responsibility of paying the recruiter. Therefore, most recruiters will seek to pursue your interest, as their success relies on yours. 2. The recruiter can be your ‘inside man’ on the job market. Not every company likes to spend millions on vacancy ads, especially when they know a bad advert can be counterproductive and a big advert also means more job applications to sort through. 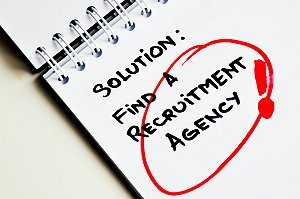 This is why most employers prefer to stick with a recruitment agency that understands exactly what kind of candidates they need. The recruiter can often come up with a solid 5 or 10-man candidate shortlist list within a short time, saving the company both time and money. 3. Land you your dream job and firm. Recruiters will often look to get you into specific companies of your choice that are in need of your skills. Once you notify your recruiter about a role or company you would like to work in, they would use their experience and contacts to try and make it happen. 4. Provide you with all the details. A recruiter can give you valuable tips and insight as to the company policy and culture, and this can give you a chance to really impress during the interview process. 5. Keep You Incognito. Are you looking for a new job and don’t want your current employer to find out? Nowadays, employers have automatic search agents on big vacancy boards that notify them if any of their current employees are looking to jump ship. 6. Set yourself apart from the others. In the midst of thousands of applications, it is hard for your resume to stand out on the desk of your potential employer. However, when you use a recruiter, you greatly increase your odds of landing that job. 7. Stay on the low. Some hiring managers prefer to higher the ‘exclusive’ way. This means that they prefer to get your resume from a more trusted channel or source. The chances are that they may not take your resume serious if they get it from a very random source. 8. Stay On top of the Process. You stand to always be in the know as to when your resumes are being submitted to potential customers. 9. Avoid ‘too good to be true’ offers. Thousands of unsuspecting job seekers have been duped by fraudsters with several too good to be true job offers. A recruiter ensures that you have a point of contact, in addition to providing that your application only gets to the right hand. 10. Take the nerve off your job hunt. Since most recruiters rely on your success to get paid, you can be assured that they will look after your interest more than any website or magazine advert would. Also, A good recruiter should be able to offer some good tips and useful interview strategies.